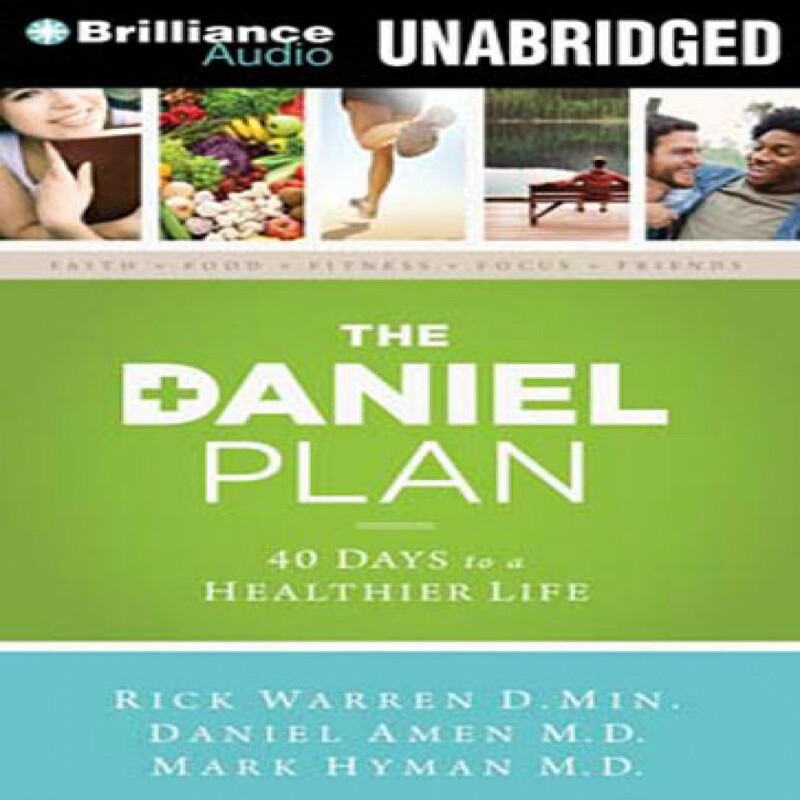 The Daniel Plan by Various Audiobook Download - Christian audiobooks. Try us free. Author Rick Warren, D.Min. Mark Hyman, M.D. & Daniel Amen, M.D. Feast on Something Bigger Than a Fad The Daniel Plan: 40 Days to a Healthier Life by Rick Warren, Dr. Daniel Amen, and Dr. Mark Hyman is far more than a diet plan. It is an appetizing approach to achieving a healthy lifestyle where people are encouraged to get healthier together by optimizing the key five essentials of faith, food, fitness, focus, and friends.